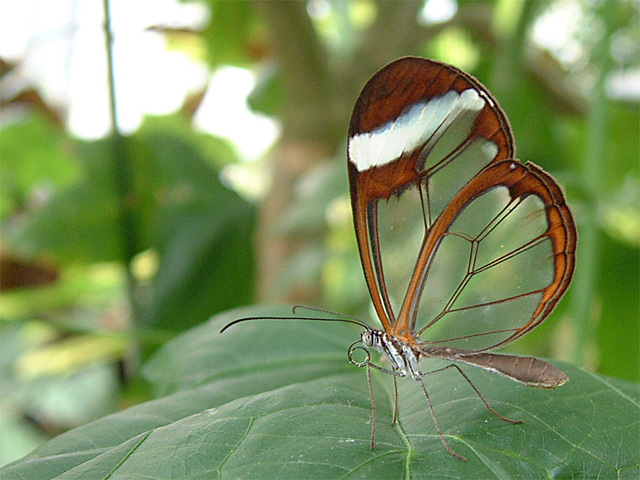 This rare tropical butterfly with transparent wings is used by rainforest ecologists as an indication of high habitat quality and its demise alerts them of ecological change. Native to Columbia, Bolivia, Peru, and Ecuador, the glasswing butterfly is usually observed feeding or flying high in the subcanopy of the tropical forest in the Andes Mountains. Members of the species, scientifically classified as Godyris duillia, frequently inhabit elevations of approximately 1,400 meters. Another log has been tossed on the nature versus nurture fire with the publication this week in the Royal Economic Society’s Economic Journal of a study that argues that income and home environment account for about 25% of educational attainment while inherited intelligence is responsible for the rest. The researchers came to their conclusion by comparing how well adopted children did at school when they were brought up alongside parents’ biological children. The relative effects of genes and the home environment were then separated out. I was out checking on this year's mushroom crop at Northampton, a under-appreciated park on the North Coast. Two years ago I met an elderly woman there as she was harvesting skipjacks under the pine trees. She knew what she was doing, said she'd clean, peel and can the mushrooms she collected, but was not much interested in talking about collecting wild mushrooms. I would have liked a mentor, someone who could point out which of those mushrooms that grow on the North Coast are safe to eat. 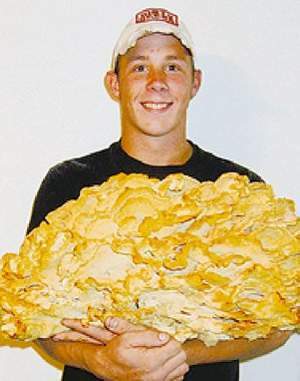 This kid found the record-breaking 'Chicken of the Woods' (Laetiporus sulphureus)growing on a tree near a creek where he was cutting wood. The 'shroom weighed in at 56 pounds, measuring 30 inches wide and 16 inches high. He claims an even larger part of it broke off and fell into the creek. He reckoned with both pieces it would have weighed 120 lbs. I've eaten these and can personally testify they are delicious, up on the taste treat scale with morels and chanterelles. But, 56-pounds? A U.S. Forest Service fungus expert in Madison, WI said it probably took only two weeks for this mushroom to grow. The previous record is held by a 40 lbs. puff ball. Here it is, only a few days from Leaf Day and on this patch of the North Coast it's snowing. 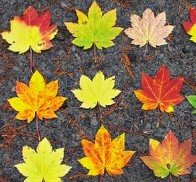 Autumn leaves, according to the University of British Columbia Botanical Garden get their the variety of leaf color because of the differing amounts of sunlight they receive. As you can clearly see in the leaf in the upper right, the bottom-right corner has the pattern of the leaf above. Where the leaf above shaded this leaf, no red pigments were produced. Where the leaf was exposed, bright red anthocyanins were formed. This striking vegetable could as easily be placed in the living room as in the dining room. 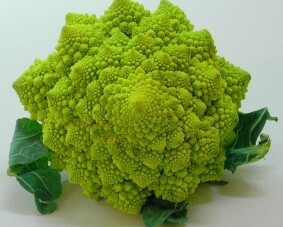 Romanesco is a member of the species Brassica oleracea L., which includes cabbage, broccoli, Brussels sprouts, cauliflower, collard greens, & kohlrabi. The one I tried was more like cauliflower in texture, most like broccoli in taste. They are becoming increasingly available in farm markets along the North Coast. In his chapter titled The Restorative Environment , Richard Louv, author of Last Child in the Woods...explores the positive effects of green time for both adults and children. Even without corroborating evidence, many parents notice significant changes in their hyperactive child's behavior when they hike in mountains or enjoy other nature-oriented outings. “My son is still on Ritalin, but he's so much calmer in the outdoors that we're seriously considering mov9ing to the mountains,' one mother says. Could it simply be that he needs more physical activity? Stephen and Rachel Kaplan, experimental psychologists at the University of Michigan surveyed more than twelve hundred corporate and state office building workers . 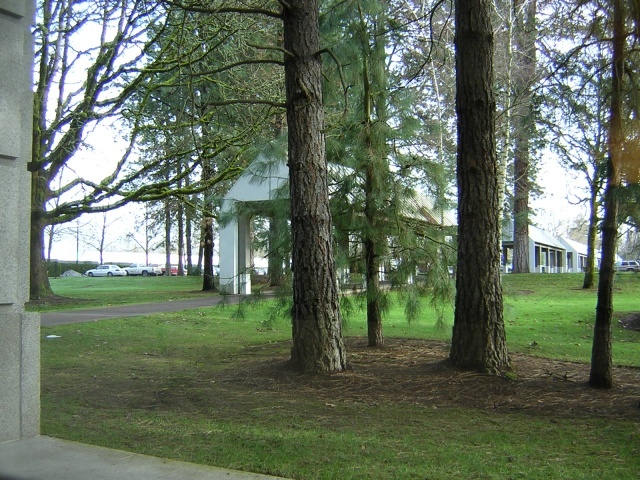 Those with a window view of trees, bushes, or large lawns experienced significantly less frustration and more work enthusiasm than employees without such view. Like similar studies on stress reduction, this study demonstrates that a person does not have to live in the wilderness to reap nature's psychological benefits—including the ability to work better and think more clearly. 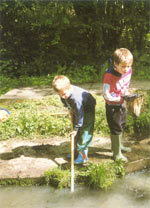 Could a little time spent outdoors in a natural setting be the answer to the ever-increasing number of ADHD children? Could parents toss the Ritalin and Dexedrine out the proverbial window in favor of having their children look out a window--at trees, birds, and green growing things? Sounds simplistic, doesn't it. But, an amazing new book, Last Child In The Woods: Saving Our Children From Nature-Deficit Disorder, by Richard Louv surveys the literature and suggests there is a strong connection between ADHD and lost opportunities for children's unregimented play steeped in nature. In his introduction, Louv notes that by the 1990s the distance around home a child was allowed to roam on their own had shrunk almost 10 times that of the 1970s. Many children today have had no experience at all of wandering at will, poking into natural environments, building nests and forts, encountering wild animals, splashing in a swimming hole --discovering and exploring wildness. "I like to play indoors better 'cause that's where all the electrical outlets are," reports a fourth-grader." Given the pervasive availability of computer, electronic games, and TV, it's no wonder many children spend such little time outdoors. Middle-class households today are highly structured environments with music and dance lessons, classes, sports, and other, mostly indoor supervised activities allowing little free time for kids to be on their own out of doors. While this book is focus mainly on children, recent research shows adults too benefit from "'green time." A Swedish study in 2001 demonstrated that time spent in nature can help adults recover from normal psychological wear and tear, and it also improves the capacity to pay attention. Study subjects were tested in their by copy-proofing ability. 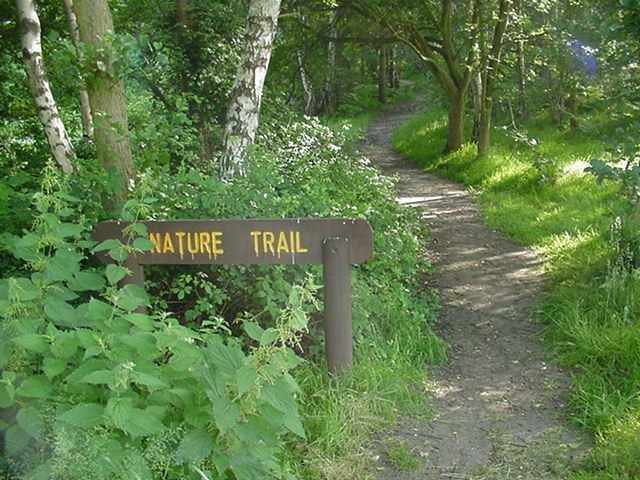 Researchers found a a walk in a nature preserve was more effective in restoring the subject's stress and attention to detail than alternate walks in an urban environment, or sitting quietly listening to music or reading a book. The nature walk seemed also to promote positive attitudes and less anger. One evening when my boys were younger, Mathew, then ten, looked at me from across a restaurant tab table and said quite seriously, " Dad, how come it was more fun when your were a kid?" "Well, you're always talking ab out your woods and tree houses, and how you used to ride that horse down near the swamp." At first, I thought he was irritated with me. I had, in fact, been telling what it was like to use string and pieces of liver to catch crawdads in a creek, something I'd been hard-pressed to find a child doing these days. Like many parents, I do tend to romanticize my own childhood--and, I fear, too readily discount my children's experiences of play and adventure. But my son was serious; he felt he had missed out on something important. He was right. Americans around my age, baby boomers or older, enjoyed a kind of free, natural play that seems, in the era of kid pagers, instant messaging and Nintendo, like a quaint artifact. Within the space of a few decades, the way children understand and experience nature has changed radically. The polarity of the relationship has reversed. Today, kind are aware of the global threats to the environment--but their physical contact, their intimacy with nature, is fading. That's exactly the opposite of how it was when I was a child. As a boy, I was unaware that my woods were ecologically connected with any other forests. Nobody in the 1950s talked about acid rain or holes in the ozone layer or global warming. But I knew my woods and my fields; I knew every bend in the creek and dip in the beaten dirt paths. I wandered those woods even in my dreams. A kid today can likely tell you ab out the Amazon rain forest--but not about the last time he or she explored the woods in solitude, or lay in a field listening to the wind and watching the clouds move. Just as the dust begins to settle for bird-watchers from all the Ivory-billed Woodpecker excitement, now plant enthusiasts have a reason to celebrate. A new plant species has been discovered in Arkansas . The plant, Pelton’s rose-gentian, is a new type of Sabatia and a member of the gentian family. "On a recent trip to the Galapagos Islands, I was astonished when 0ur guide showed us how damselfish farm algae on their own,"
By grooming coral beds the damselfish encourage new growth and they guard and protect their crop with their tiny sharp teeth from the grazing of other species like sea urchins and even humans. Humans have always assumed credit for the invention of agriculture, in the same way we thought we were unique in the use of language. Theorists point to our gregarious nature, societal structure, communication skills, and a measure of engineering skills that led to the profitable management of nature. It turns out that other animals that farm their own food including four species known to farm fungi: leaf cutter ants, termites, ambrosia beetles, and marsh snails. 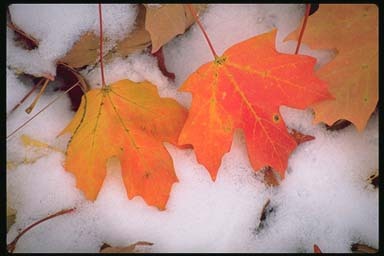 The Roman divinity of seasons, changes and ripening of plant life. 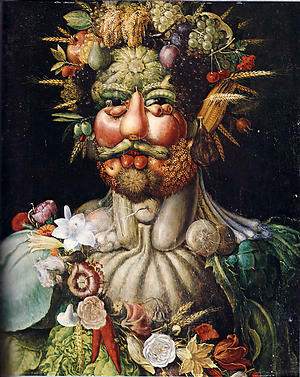 He is the patron of gardens and fruit trees. Vertumnus' cult was introduced in Rome around 300 BCE and a temple was built on the Aventine Hill in 264 BCE.